This entry was posted in 2013, Archived, Featured Artists on April 26, 2013 by Laurie Kingston. This entry was posted in 2013, Archived, Featured Artists on April 23, 2013 by Laurie Kingston. On May 1st, Come Sing With Us! 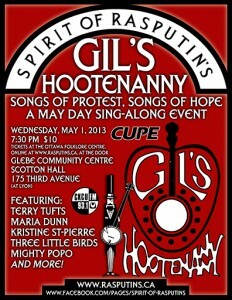 Please join us for Gil’s Hootenanny, an evening of “Songs of Protest, Songs of Hope,” hosted in Ottawa by the Spirit of Rasputin’s. 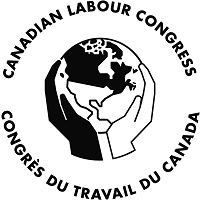 Every year since his death in 2009, Ottawa’s folk community has honoured the memory Gil Levine, a a local activist, staunch trade unionist, lover of folk music, hootenannies and May Day. 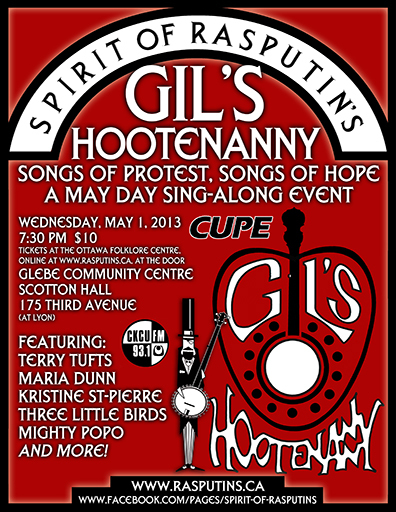 Gil’s Hootenanny will take place on Wednesday, May 1st at 7:30pm at the Glebe Community Centre, 175 Third Ave. 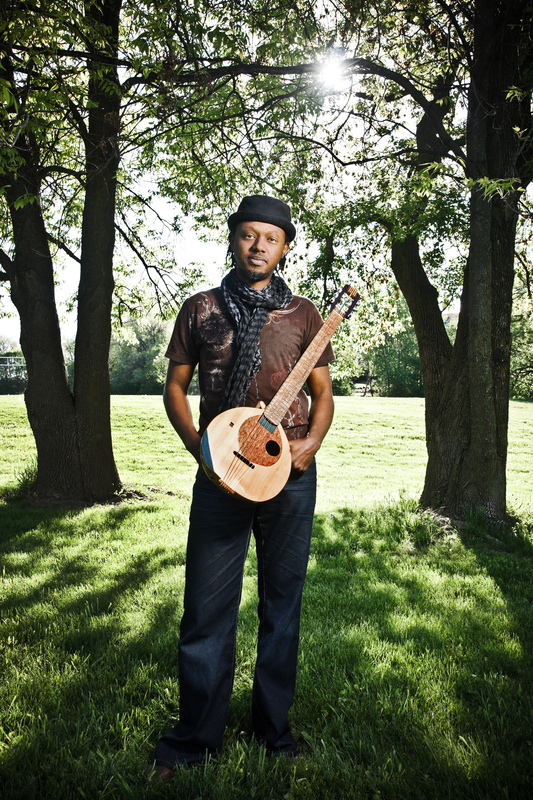 This year, Kristine St-Pierre, Mighty Popo, Three Little Birds, the Shout Sister choir, Maria Dunn, and Terry Tufts will bring us together in song. 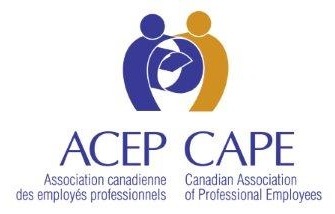 The Hootenanny is hosted by the Spirit of Rasputin’s Arts Society and is sponsored by CUPE and PSAC National Capital Region. 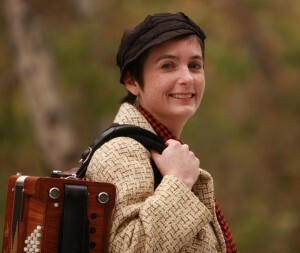 All funds raised once the artists and expenses are paid will go to Spirit of Rasputin’s programming throughout the year. Come sing with us and bring your friends. Tickets are $10 each (kids 16 and under are free) and are available at the Ottawa Folklore Centre or on-line at http://rasputins.ca/events/gils-hootenanny/. 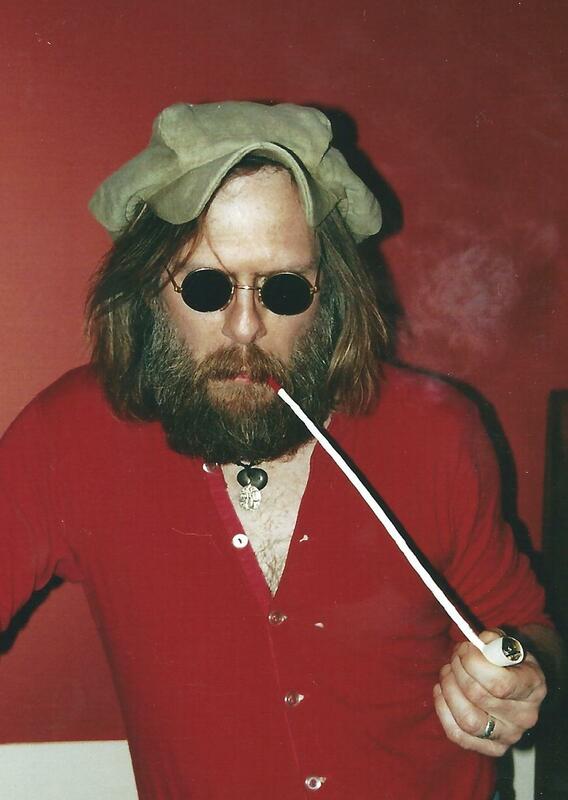 This entry was posted in 2013, About Gil's Hootenanny, Archived on April 19, 2013 by Laurie Kingston.